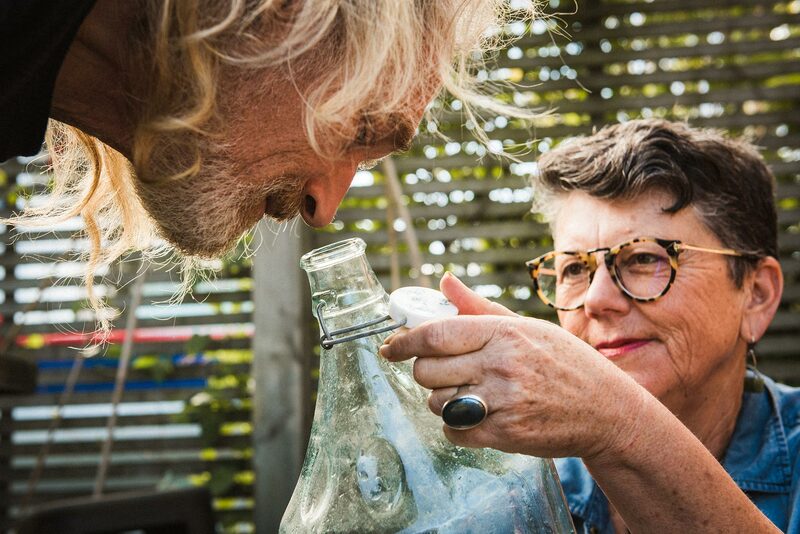 Working with brands like Pernod Ricard, Reefton Distilling Co, 42 Below, Alt Spirits and Ecology NZ, Alembics can assist in the creative development of new botanical product ranges. Widely recognised within New Zealand, Australia and Europe as experts in their field, Alembics delivers the creative knowledge and expertise to kickstart innovative new product ranges. Whether your product aspirations are small scale or large, talk to us about how we can help. Our private, one-on-one community sessions are simple, pleasurable and a great way to get the specialised information you need. Are you interested in hydrosol and essentials oils? Want to create a unique individual blend of gin? Or is whisky more to your taste? Perhaps it’s a particular plant or aromatic that you want to unlock. 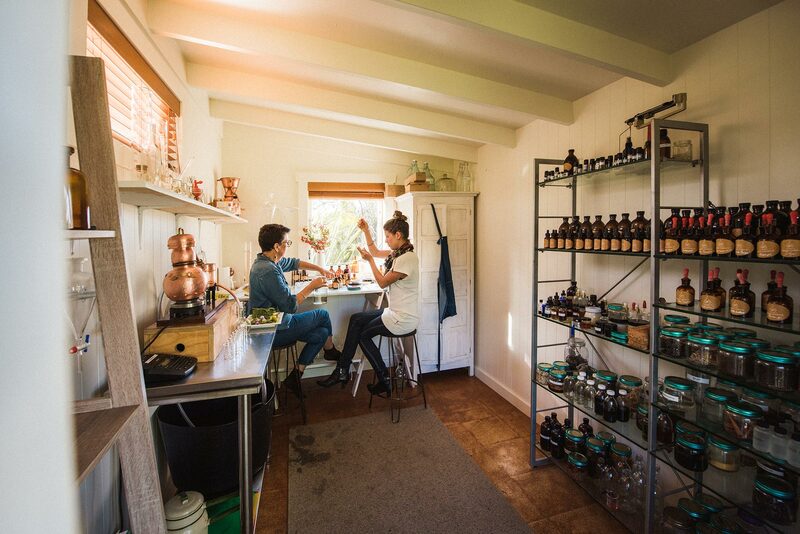 Explore the Alembics Essence and Bitters libraries, learn how they are prepared and be inspired. Alembics is based on the beautiful Waiheke Island, only a 35-minute ferry ride from Auckland. To book a time, first send us an email explaining what you’d like to achieve. Transfers to and from the ferry terminal. Refreshing botanical drinks and lunch. A distillation process of your choice and all the relevant information related to your topic. Full access to the Alembics aromatic library of bitters, botanicals and single essences. A follow-up written summary of all the core points covered in your consult and a list of relevant resources.